Yes, sadly the time has come. My DT term with Luxe is over. It has been an amazing experience, and I am truly honored to have been able to design for them for the last year+. Luxe was my very first design team, and I will be forever grateful that they were willing to take a chance on little 'ole me. Not to mention that I got to know some truly awesome girls in the process. 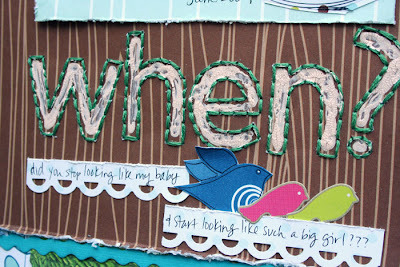 This first layout was done with Luxe's new Ecology line. I was SO excited to be asked to guest design for Method Playground, one of my favorite challenge sites! The challenge that I came up with is to use chipboard as a guide to handstitch a design (in my case, I used chip letters as a guide). If you play along at MP, you can win a cool prize pack from Lilly Bee designs, so be sure to check out the challenge here. 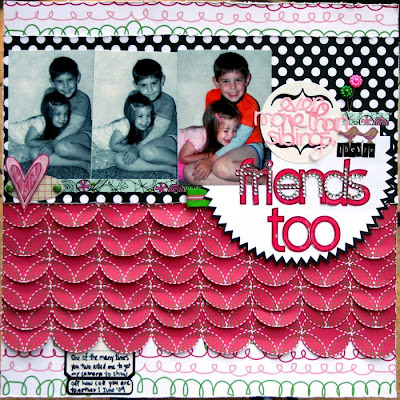 This next layout was made using Luxe's Lovey line. The honeybunch paper has tons of circles printed on it, and they were just screaming out to me to cut them! So I complied :-) And the end result gave me lots of fun scallops. PP, labels, epoxy sticker and large letters are all Luxe. Mini letters are MM and pink letters are Doodlebug. The little bird stickers are Hambly, ribbon is Heidi Swapp and stickpins are MM. Thanks again to Luxe for a wonderful DT term!! So, June is out and July is in. I hope that everyone's summer is moving along nicely! We have a busy few days ahead, and the 4th will be here before we know it. We have a bike parade for the kids around our 'hood in the morning, and we're going to a party at our neighbors' house that evening - can't wait! What do you all have on your 4th of July agendas? Well I never heard of Luxe before I "met" you online. You have totally rocked their product and you always made me want to go out and by some of their stuff. Wow! Girl you have inspired me today with that stitching and gorgeous handcutting!! Luxe was lucky to have you! Congrats on the guest spot for Method Playground - clever use for chipboard! 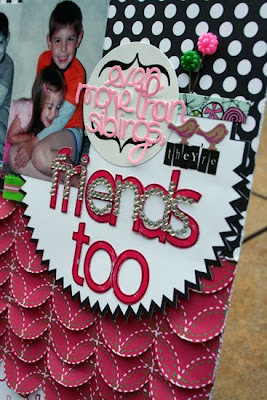 You are so talented and I just love these "final" Luxe LO's!!! All the details are amazing!!! Loved your newest LO's! I am sure as much as you enjoyed being on the Luxe team, they equally enjoyed having you as well, as you did justice to ALL of their products. Well you definately went out with a bang .. love these layouts .. you talented DIVA ..
You're work is always beautiful, and that team will definitely be different without you. Your layouts are stunning! 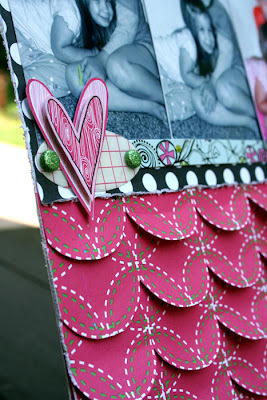 So eye-catching!And I love the trick with the layered paper "ribbon"
WOW ..... Staci LOVE the layouts !!! Happy 4th of July ... will there be fireworks anywhere near you ? wow ! 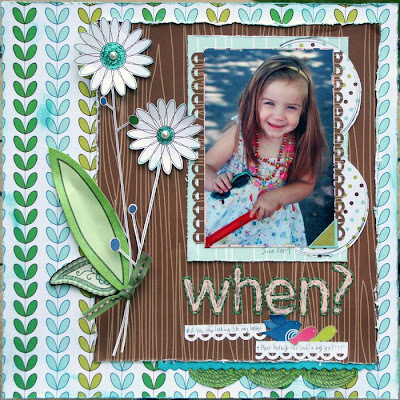 loving the Method Playground layout , Staci ! 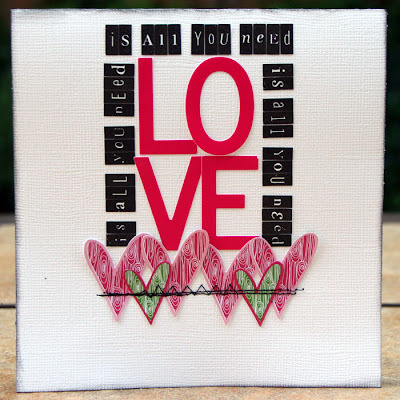 awesome idea to use a chipboard to stitch a design ! only you can think up these fun ideas ! Hope your 4th of July is all fun & good for you & yours ! I'm sure other opportunities will turn up for you after these DT terms . you'e so going out with a bang! wow.. love everything here. those scallops are phenomenal!